Who is the liar but he who denies that Jesus is the Christ? This is the antichrist, he who denies the Father and the Son. Chrislam, or the blending Christianity and Islam is fallacious. 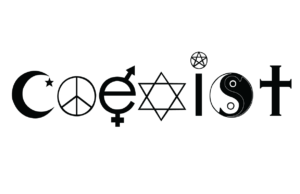 The idea is built upon the premise that Christians, Jews, and Muslims all worship the same God. However, 1 John 2:22 is all that is necessary to demolish the heresy which is reported to have it’s roots in Nigeria in the 1980’s. A person cannot be a Muslim and a Christian at the same time. When the Pope and a Mullah meet to pray, they are not praying to the same deity. For Christians, the deity of Christ is a non-negotiable. For Muslims, belief in the deity of Christ is considered shirk (“filth”). The Bible is devoid of any suggestion that Jews or Christians should honor, respect and tolerate the worship of foreign gods. To the contrary, God forbade the mixing of His Chosen people with those who worshiped false, foreign gods. The significance of Leviticus 19:19 is that God hates mixture…and favors purity. ‘You shall keep My statutes. You shall not let your livestock breed with another kind. You shall not sow your field with mixed seed. Interfaith meetings, ministries, conventions, coalitions, services, worship, initiatives are all quite pointless if the objective isn’t to evangelize the lost.